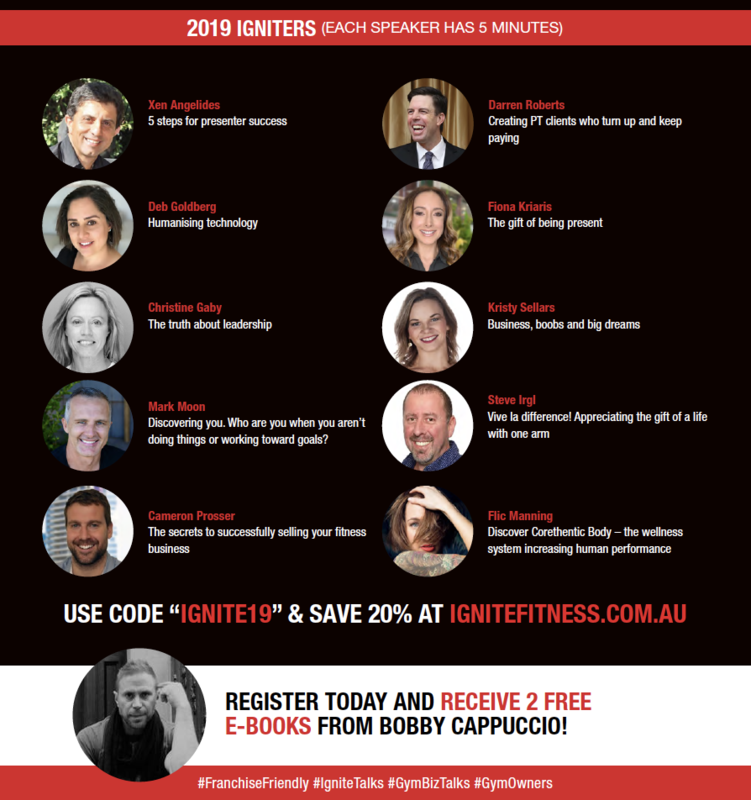 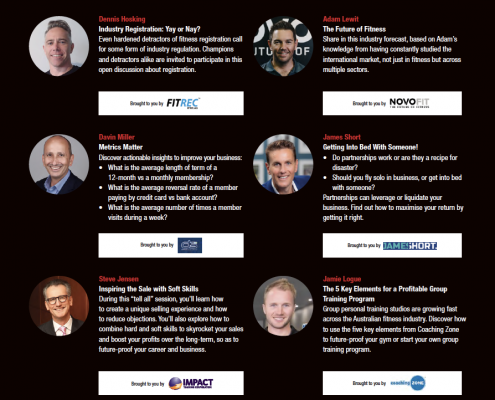 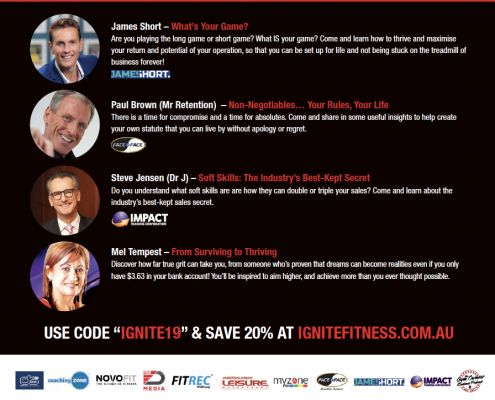 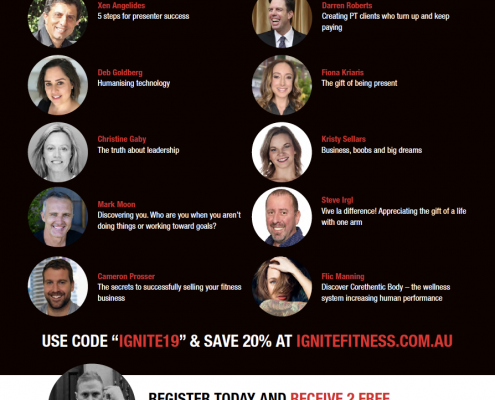 The full schedule to Australia’s first ever ignite fitness business event is released. 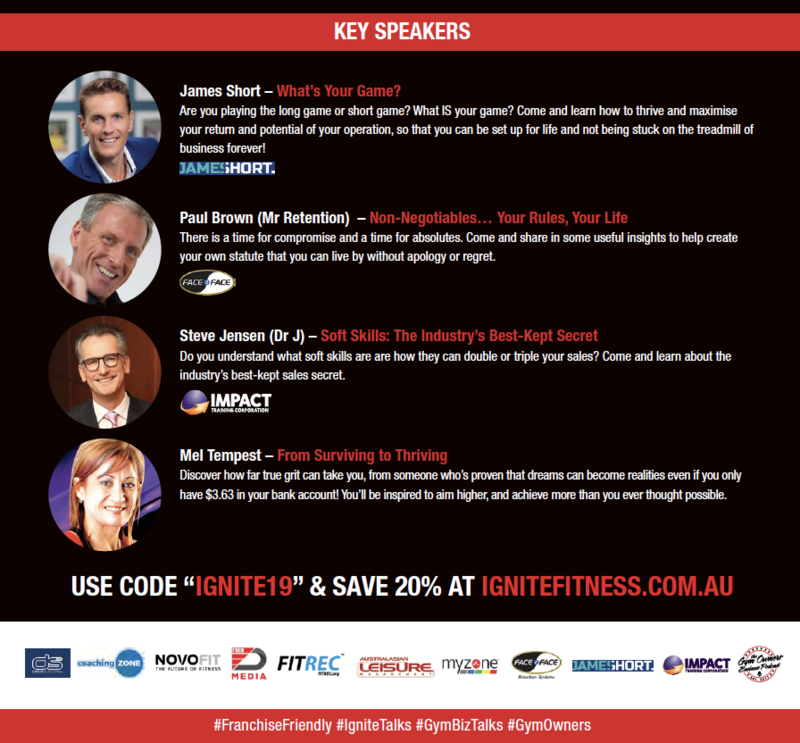 * Gym Owners * Personal Trainers * Boutique Studios Owners * Those Thinking Of Opening Any Type Of Facility * Those Thinking Of Selling * Those Thinking Of Becoming Speakers Or Coaches * Gym Managers * Anyone in the fitness industry! 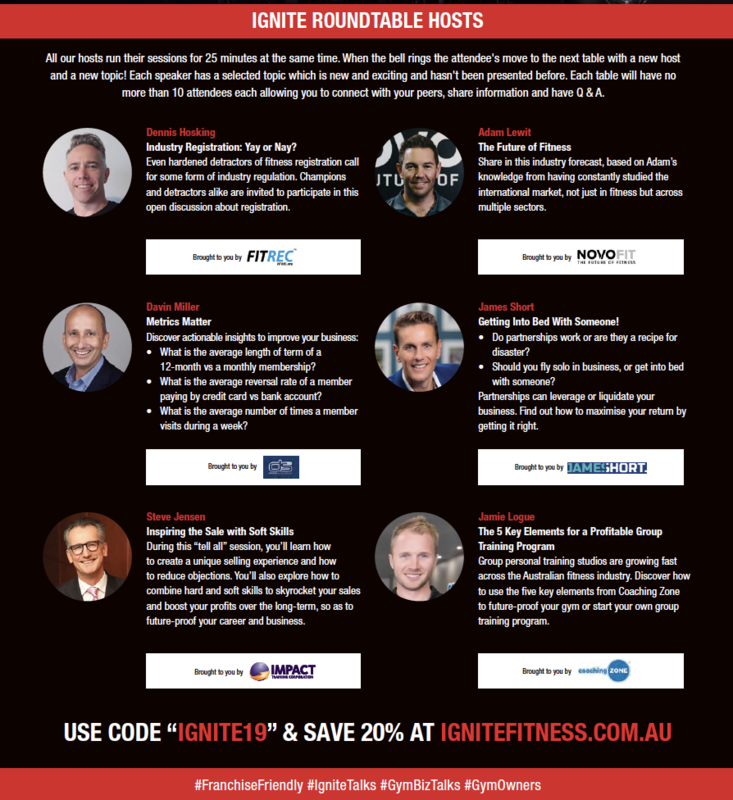 Ignite Fitness is a first for the Australian fitness industry, and you’re invited to attend and be part of history in the making!